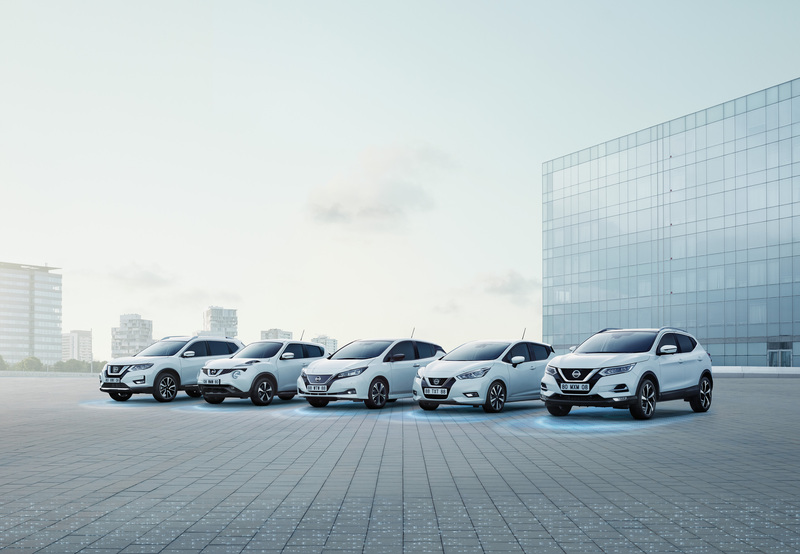 NISSAN is making this autumn even brighter for car buyers with the announcement of some dazzling offers. The limited time PCP offers are available across the manufacturer’s range until January 6th, allowing drivers to add plenty of colour to their motoring whether they’re looking for a crossover, supermini, electric vehicle, pick-up or high-performance sports car. As well as offering car buyers a wide array of models, including the UK’s best-selling crossover and best-selling EV in the shape of the Nissan Qashqai and Nissan LEAF, Nissan is also providing customers with a variety of PCP options, which, depending on the model, are available with 0%, 3.99%, 4.99% or 5.99% APR representative. Selected offers include Nissan deposit contributions of up to £3,500 and the availability of cost-saving servicing plans from only £249. 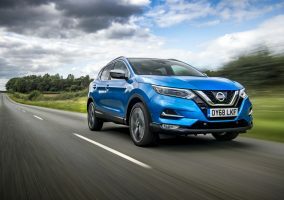 Following a major update in 2017, the best-selling Nissan Qashqai is now even more attractive with the recent launch of all-new, 1.3-litre turbocharged petrol engines, which offer outputs of 140 PS and 160 PS. Combining low CO2 emissions from only 121 g/km and fuel economy of up to 53.3mpg with agile performance, the engines set new standards for driveability in the Qashqai. An all-new seven-speed Dual Clutch Transmission (DCT) can now be specified – the first time such a transmission has been used in a Nissan volume model – and the Qashqai now also benefits from the availability of the advanced new NissanConnect infotainment system, which offers seamless and intuitive integration of the driver’s smartphone and vehicle. Recently named as the ‘Best British Built Car’, the Qashqai can be enjoyed from only £189 per month on a 37-month 0% APR representative deal with a customer deposit of £7,142.89. Alternatively, there is a 4.99% APR representative offer, which includes a Nissan deposit contribution of £750. A two-year servicing package can be added for only £249. The alternative 3.99% APR representative deal includes a Nissan deposit contribution of £1,975. Both offers can be complemented with two years’ servicing for £249. 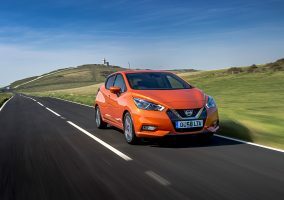 Blending cutting-edge technologies and striking style, the Nissan Micra Acenta Limited Edition IG 71 is available for only £149 per month over 3 years at 0% APR with a customer deposit of £3,015. A two-year servicing plan for £249 adds even more value. Alternatively, customers wishing to use a lower deposit can put down £195 and pay £195 per month over 4 years at 3.99% APR for the same car. Pick-up customers enjoy the very latest addition to the Navara range – the special N-Guard – being included in the latest offers. With extra equipment, including metallic paint and sunroof, plus purposeful black alloy wheels and detailing, the Navara N-Guard in 2.3 DCI manual transmission specification can be owned for £279 per month via a 37-month 0% APR representative deal with a customer deposit of £11,667.46. The alternative 5.99% APR representative offer includes a Nissan deposit contribution of £2,500. Both deals are strengthened with the availability of two years’ servicing for £249. Qualifying for the maximum Nissan deposit contribution of £3,500, the formidable GT-R supercar is available for £699 per month via a 37-month 5.99% APR representative deal with a customer deposit of £17,868.61. Three years’ servicing of the everyday supercar can be added for £899. The latest chapter in the Nissan Z-car story, the 370Z uses four decades of heritage to deliver an exhilarating ownership experience. Through the 37-month 0% APR representative deal its rear-wheel drive, classic coupé style and 3.7-litre V6 engine can be enjoyed from £239 per month, after a customer deposit of £7,649.50. A 5.99% APR representative offer is also available, which includes a £3,500 Nissan deposit contribution. Three years’ servicing can be included for an additional £370.